I never knew how much I wanted to be a mother until I realized I might not have the chance. Overnight, the imaginary child I had begrudged for cramping my style became the Holy Grail. The maternal desires I had ignored for years while defending my independence and pursuing my career suddenly came roaring back, threatening to devour me with their primal intensity. The ensuing months brought more tears, terror, and tests. Shortly after we received that initial scare, follow-up tests conducted by the same physician generated normal results. 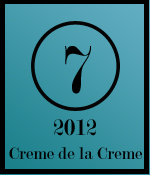 The next month, another round of tests produced more signs of potential problems, and the roller-coaster ride resumed. I soon learned that fertility medicine is more art than science, and an aggravating art at that. Everything is about probabilities and percentages, trial and error. John and I might be able to conceive a child together, or we might not. The only way to know for sure was if I found a plus sign on one of those little pregnancy-test sticks that now cluttered the back of my bathroom closet. When an email arrived in my inbox with a request for a book review, accompanied by this excerpt... I responded immediately in the affirmative. I mean, how could I not? These words... these words may have been written a thousand times, in a thousand different ways, by myself and all of my faithful Catholic blogging friends who have struggled with infertility through the years. The book arrived a few days later. I simply could not put it down. (Until, of course, 2 days before the arrival of my period when in the final chapters I flung it across the bed and went and poured myself a glass of wine... but may that be a warning to read at your own risk while PMSing. Really, do anything at your own risk while PMSing if you're an infertile.) I did finish when I was more hormonally stable, and I'm so glad I did. 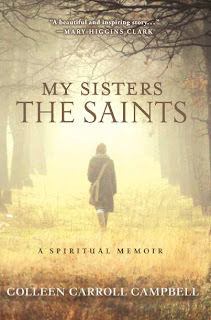 From start to finish, Colleen Carroll Campbell had me entranced in her story as she navigates her way through adulthood, guiding her readers through the connections she makes with 6 very powerful women Saints, showing how each one served as a spiritual vehicle at crucial stages of her life. And one very significant part of that life was infertility. There were two particularly powerful sections that I thought would be helpful to share with my readers here. The first deals with spiritual maternity, a topic I have recently been exploring. "Even as Edith's views validated my suffering, they challenged me to rethink my fixation on getting pregnant. If motherhood is more about what's in your heart than what's in your womb, I needed to stop waiting for a baby to use my maternal gifts. I needed to start recognizing the opportunities I already had to nurture growth in others, defend the vulnerable, and make the world a more loving, humane place." Colleen finds in Edith's writings a source of both solace and practical advice on how to achieve spiritual maternity. Good stuff. And this was just one nugget. "I knew God could forgive me for choosing IVF. I knew that if he allowed me to conceive a child using IVF, he would love that child as much as one conceived according to his plan. Yet I also knew my relationship with him would never be the same if I purposely made such a fundamental, life-altering choice against what I knew to be his will for me. I suspected that the presence of a child conceived through IVF always would be tinged with sadness for me, since it would remind me that, at a critical juncture in my life, I had chosen my need for control over God's invitation to trust." Maybe it's her style of writing, or the spiritual backdrop of the memoir, or the life situations she shares, but this book was one of the most engrossing I have read in a long time. 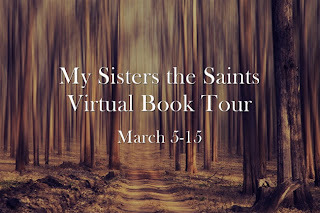 By the end, I felt such strong connections with its author through what I felt were shared temperament and personality makeups (I think God cuts all of us who carry the cross of infertility out of the same mold), I came to think of her as My Sister; she brought the same level of insight and familiarity into my life that those 6 Saints she came to call Sisters brought to hers. The book comes with my very highest recommendation, particularly for those regular readers of my blog. I know you will love it. Now I really want to read this book! Also, "Really, do anything at your own risk while PMSing if you're an infertile.' is the advice I needed to hear today. God bless you! I love that line "Really, do anything at your own risk while PMSing if you're an infertile." Then again, I've been spotting and nigh on psychotic since Sunday... actual day 1 will be a relief. I also found your observation that so many IF women seem to be cut from the same cloth. I LOVED this book. I read it in less than 5 days. I couldn't put it down. It was enlightening and inspiring. That was only 2 weeks ago and since then I have given one as a gift to my best girl friend and also recommended it to many others, whom have read it already and loved it!! Totally a great book for all women to read. I did get angry during the last chapter. I kept thinking throughout the book that she totally understood my pain/path, but then she became a Mama after less than 5 years of marriage. I feel like for me, it just got worse with time and more hopeless with time, so I was kinda envious of her miracles coming "so soon". I didn't throw the book, but if I was still childless, I probably would have. I am so sorry her story came at a rough time for you. Praying that you get your miracles soon!! Gonna add this to my reading list! This book sounds incredible...I need to add it to my must-read list. Thank you so much for sharing this!! Her last sentence on the IVF part was spot on! Wow! Sounded good until I read the spoiler comment...I do feel it's too easy for some (I mean some) women to talk about their IF journey after they have had a baby. Really. BTW: I've taken to the Brian Gail books...Fatherless, Motherless and Childless...totally worth reading. I don't have alot of free time to read however these books make me make time. I read this book in in less than two days. 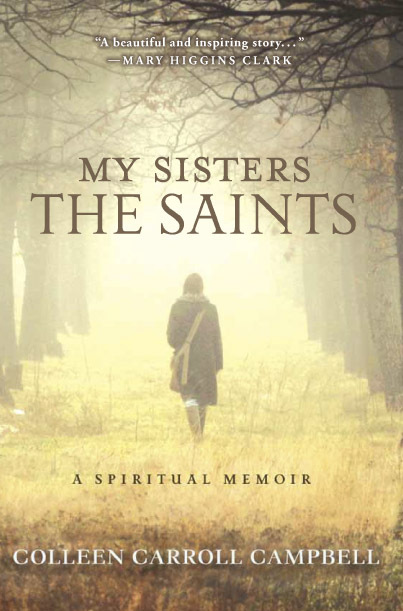 I would highly recommend it to anyone who feels like the saints are old hat or unreachable. 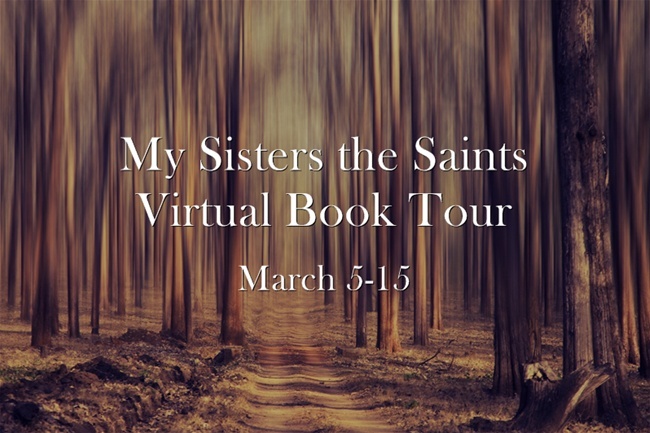 She had a great way of making these women saints feel so accessible. Her struggle with IF was a big reason I picked it up, but truth be told, the part about her father is probably what is sticking with me even more.